Our quarterly magazine packed with a wide variety of subject matter regarding the line, including the latest news. Articles will cover everything from the lines history to tips on travel, both to it and on it; everything, in fact from construction histories to present workings, complemented by drawings and photographs. can be down loaded as a PDF file here. 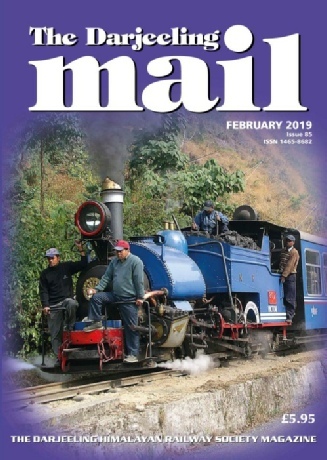 Much of the content of Darjeeling Mail is timeless, plus the news pages relive the line’s history and development in recent years. 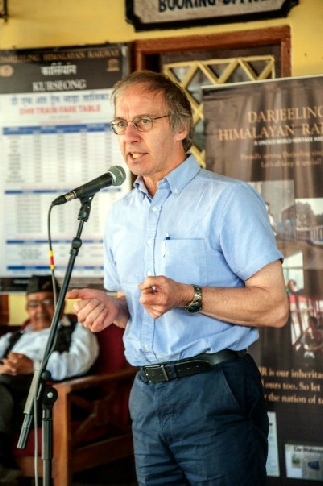 Please contact sales@dhrs.org for available issues before ordering. Your Editor giving some embarrassingly passionate speeches!